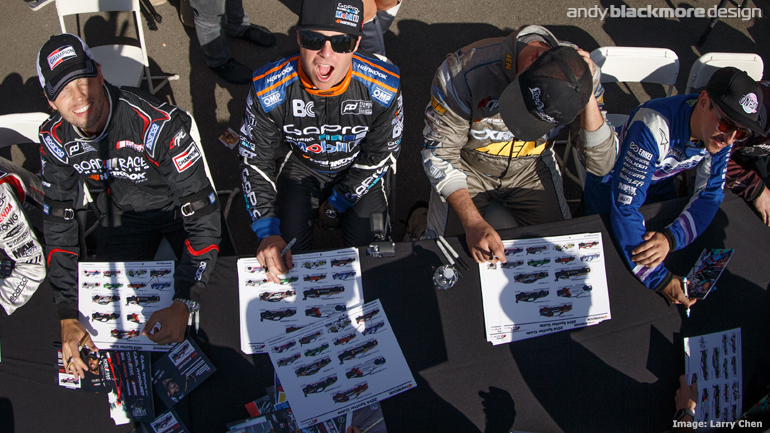 your brand in the hands of race fans at home or at the track! 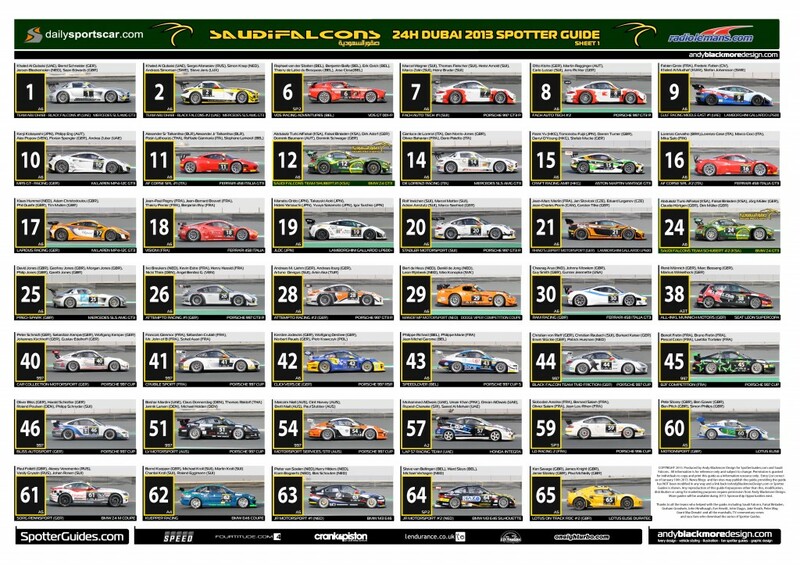 The Spotter Guide series has become a very successful piece of art and visual aid in Endurance Racing in recent years and is now the larger resource of its kind in the world. 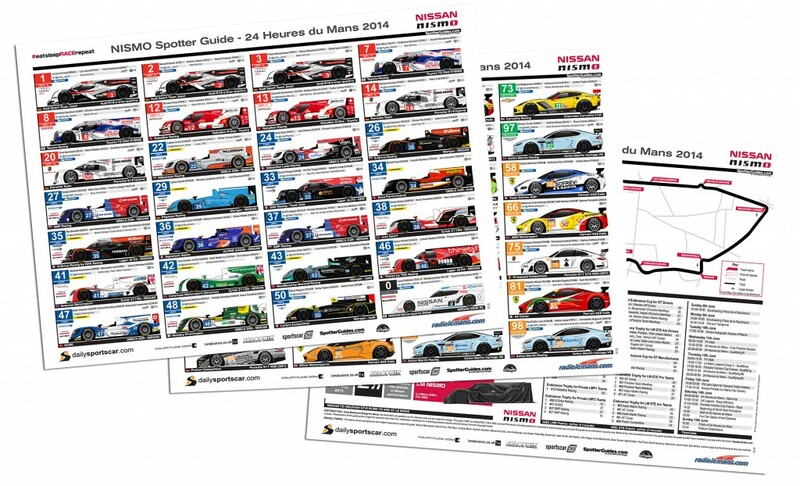 During June 2013, there was over 90,000 unique downloads of the Nismo Le Mans Spotter Guide. Each year our downloads numbers increase. 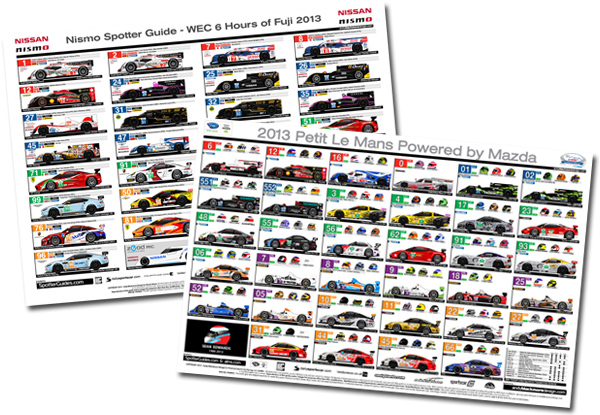 We also produce a Special Spotter Guide for IMSA for the TUDOR United SportsCar Championship. 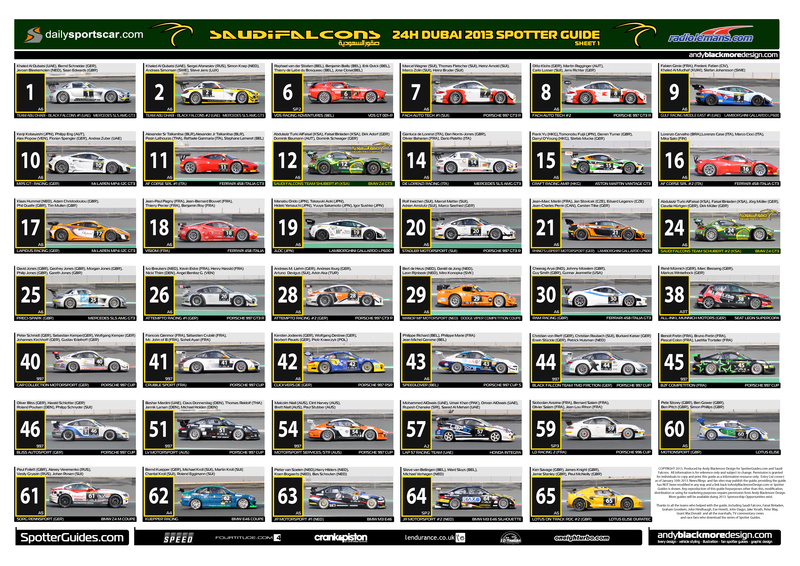 As a sponsor or series, partnering with the Spotter Guides series is a great way to ensure your brand gets in the hands of core motorsport fans, at the track, online or from the comfort of their armchair. We are currently welcoming sponsorship partners to support future guides. Each guide takes between 40-80 hours of work with most receiving race by race updates of 1-5 hours a time so it can be time consuming. Sponsorship is tailored to you on a case by case basis to ensure that your needs are met. No two clients are the same. Sponsorship also allows you to promote and host the guides under your brand on social media and at the track. 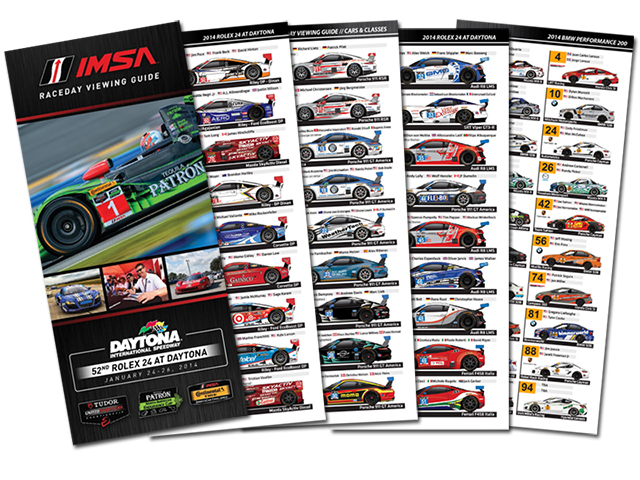 The guides can be designed as a traditional JPEG/PDF download which suits desktop and handheld devices or we can produce a leaflet or book as shown with the Official IMSA guides. 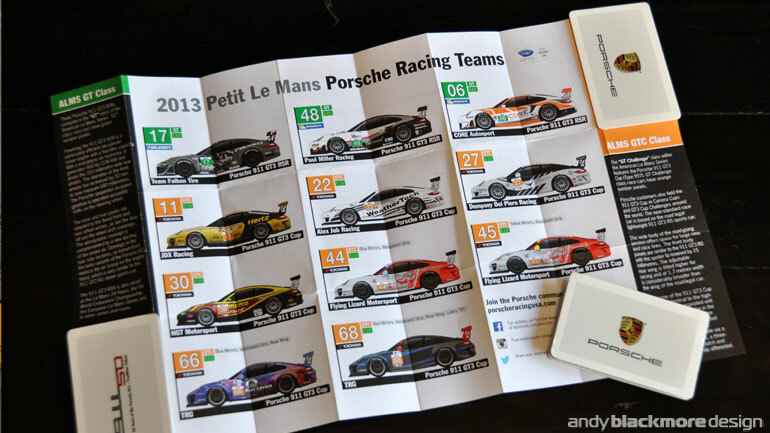 Many partners also print these professionally for hand outs at the circuit. The Car illustrations are also available individually. 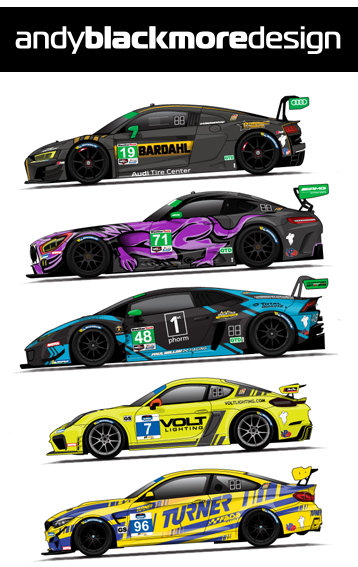 Guides normally feature detail vector illustrations, which allows me to showcase any new designs before they take to the track and update on the fly during the race weekends. On occasion, Photos can be used for a more cost effective guide. This is also useful where there is a large grid. Each guide displays a variety of information ensuring the race fan or team member has all the extensive information at their fingertips. I work with teams and sponsors to ensure each car illustration accurately reflects the real world racer. Teams will often send me information ahead of time, under embargo. 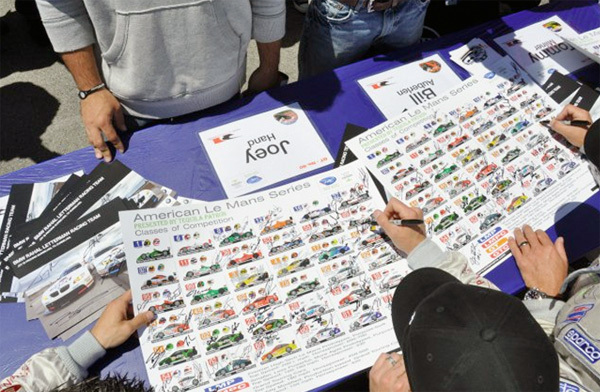 Title sponsorship also gives you the rights to produce the guides as free hand outs for fans at the circuit or downloads including Posters and Hero Cards. 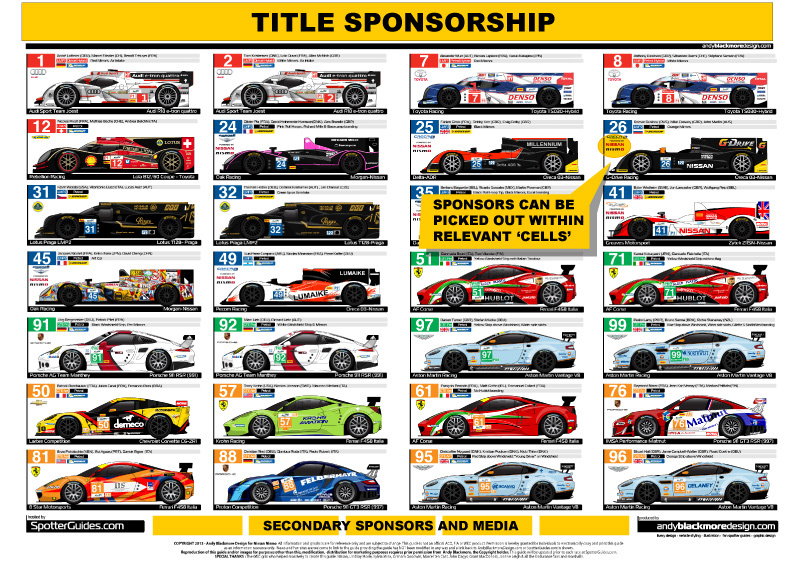 Hankook produce a Hero Card poster for their drivers in the Championship while IMSA are continuing the tradition of large Spotter Guide posters. Both are ideal for autographs. 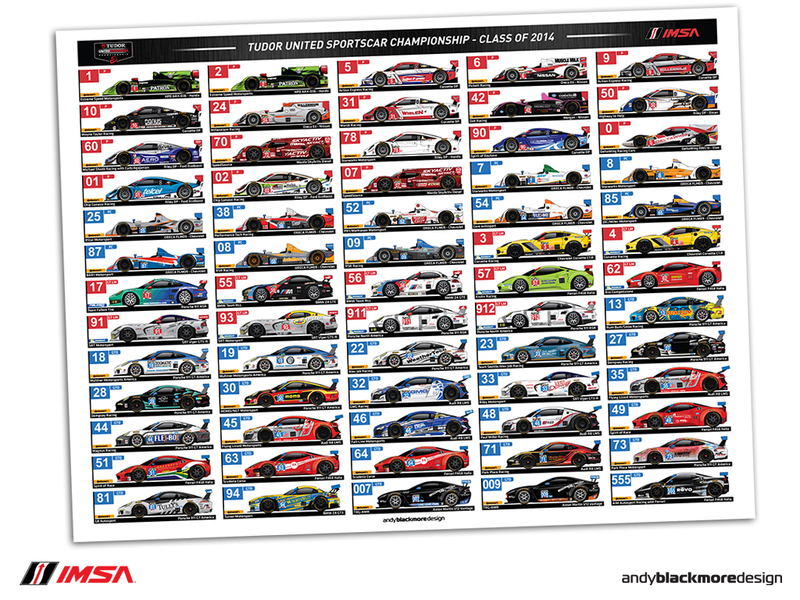 as a couple of examples, this ‘season-long’ 18×24 poster is sold by IMSA at every race. Secondary sponsorship runs along the footer of the guides. A limited number of slots per a guide at reduced cost. 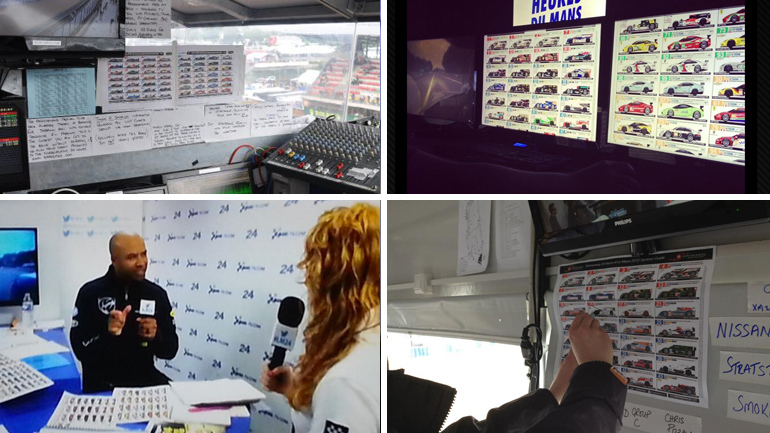 Media Partners such as RadioLeMans.com and DailySportscar are also located here. If you have a direct connection to a car entered in the race, this can be picked out with additional logos or colors and corporate fonts. Whatever you want, we will try to accommodate it. The car artwork can also be commissioned to produce stickers, TV OSD Displays and clothing. 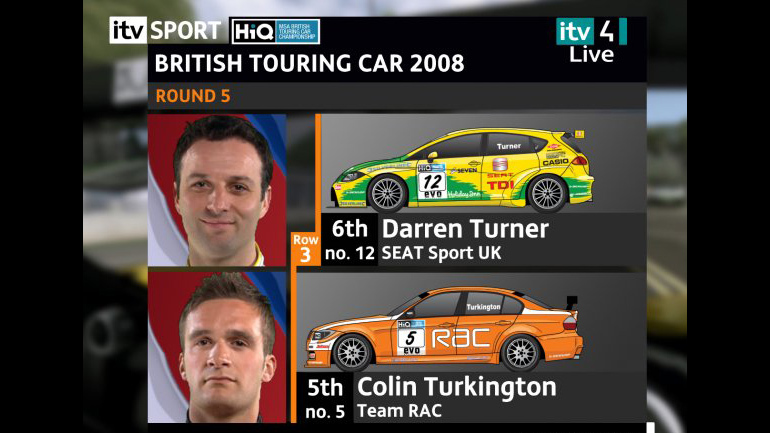 My art has been used by ESPN, FOX Sports, ALMS TV and ITV Sport for their OSD broadcasts. 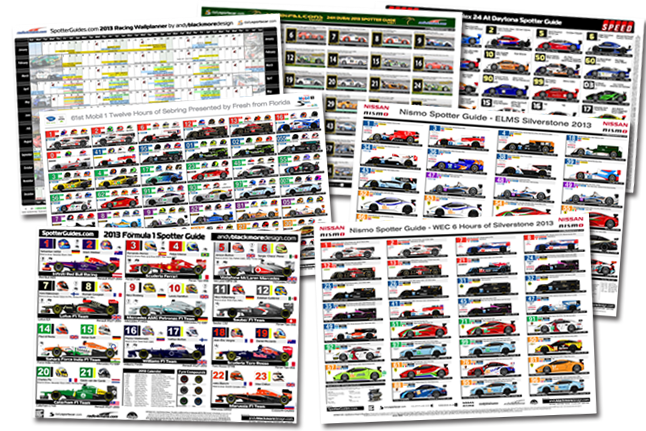 I hope this gives you a good understanding to the Spotter Guide series and how you can ensure your brand ends up in the hands of fans and event personnel (above) who are your core market. Please do not hesitate to contact me here if I can be of any further assistance.